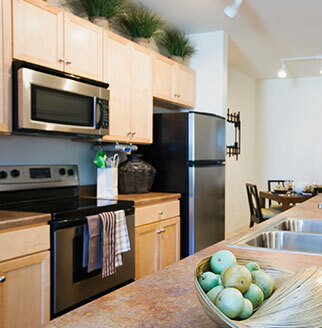 Indoor air quality is typically 2 to 5 times worse than outdoor air quality. Considering that the average Canadian spends about 90% of their time indoors, it’s worth taking whatever steps we can to improve the air that we and our families spend so much time breathing every day. Below are 51 things you can do to reduce toxins and improve the air quality of your home. Cleaning tends to stir up a lot of the dust, bacteria, dander, and other toxins or allergens that have settled in your home, which can actually make your indoor air quality worse. When you clean, open some windows to help draw out these culprits. Many toxins and allergens accumulate in dust and carpets. Vacuum often. If you have a HEPA filtered vacuum cleaner, this can help prevent the toxins and allergens from being recirculated back into your home. Make sure to clean or replace the filters in your vacuum cleaner regularly! Mops pick up dust and pollutants that vacuuming and dusting might miss or leave behind. Make sure to use a non-toxic soap in your mop water. Steam cleaners are also available for hard floors. They are a great alternative to mopping, as they use hotter temperatures, which can also help kill bacteria and allergens without needing any soaps or cleaners. Many cleaning products contain harsh solvents or emit toxic odors. Opt to make your own natural cleaners, or buy 100% natural cleaners. Many modern scented candles and other air fresheners release toxins into the air and can be especially harmful to pets. Avoid using air fresheners, or opt for 100% natural fresheners like essential oils and soy or beeswax based candles. Make sure to clean toxin and allergen-containing dusts and residue from the often forgotten spaces of your home at least once a quarter. Toxic gases can be released from chemicals and artificial scents in personal care products like shampoo, deodorant, soaps, perfumes, colognes, and other personal care products. Use 100% natural, unscented, and non-aerosol varieties whenever possible. For products like nail polish and nail polish remover, make sure to use them in well-ventilated areas if at all possible. Mothballs contain the pesticide paradichlorobenzene. They slowly dissolve from a solid to a vapor that circulates through your home and can cause serious health problems! Learn more here. New clothes can contain a host of toxic chemicals used in either the manufacturing process or to treat the clothing to help make them stain or wrinkle resistant. Make sure to wash clothing before putting it in your closet or wearing it. The dry cleaning process uses a chemical called perchloroethylene (PERC). This chemical can evaporate from the cleaned item into your home. Exposure to this chemical can affect your central nervous system and cause other health effects. If possible, air out your dry cleaning before bringing it indoors. Or try to find a “green” dry cleaner that doesn’t use toxic chemicals. If you do not have an air exchanger installed on your furnace, open your windows regularly to bring fresh air into your home, which gets get rid of stale air and toxins. An air exchanger basically brings fresh air in and pushes stale air out and it does this with minimal heat loss in the process. Since outdoor air is typically 2-5 times cleaner than indoor air, an air exchanger offers a huge benefit to the quality of your indoor air. Over time, your furnace filter will accumulate dust, dander, bacteria, and other debris, causing the air circulation in your home to degrade. 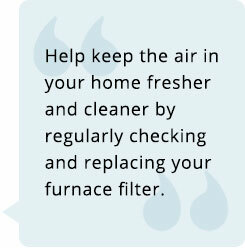 Help keep the air in your home fresher and cleaner by regularly checking and replacing your furnace filter. At a minimum, the filter should be checked once a month and replaced as needed (usually within 3 months or less). Furnace filters are typically rated by their MERV (Minimum Efficiency Reporting Value) number. Basically, this number will tell you how small of a particle the filter will catch. The higher the number, the better the filtering, and the cleaner your indoor air will be. However, don’t assume a higher number is always better. Your particular furnace may be able to handle only a low MERV number. Anything higher than what your furnace fan is rated for, and the airflow in your home will be reduced, which will make your indoor air quality worse. Consult the documentation for your furnace or contact the vendor or manufacturer to find out what MERV rating is best for your furnace. HEPA filters are known to filter out 99.7% of all airborne particles, so they’re very effective at filtering toxins, dust, and other allergens out of the air. You can buy portable HEPA filters to have throughout your home, or install a whole home HEPA filter on your furnace. This one is well-known, but it’s worth repeating here. Tobacco smoke contains more than 7,000 chemicals, of which at least 70 are known to be cancer causing. It’s best to ask smokers to take it outside. With vaping (electronic cigarettes) becoming more popular, it’s also worth noting here that while vaping is considered to be less harmful than smoking, it still does emit toxins. Best to take the vaping outdoors as well. 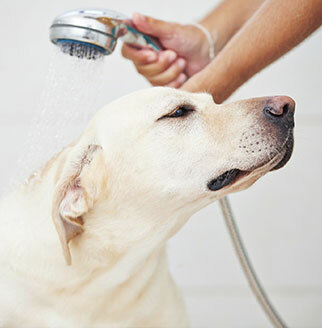 If you have a pet, make sure they’re bathed and groomed regularly. Dogs in particular should be bathed bi-weekly to help keep dust and dander to a minimum. Weekly might be better, but be careful, as this could dry out your dog's skin. Cats can also get used to being bathed, but make sure you use a shampoo appropriate for them. Any pressed-board products like cupboards, panelling, or flooring could release formaldehyde gas. If you renovate, make sure to choose products with minimal formaldehydes. 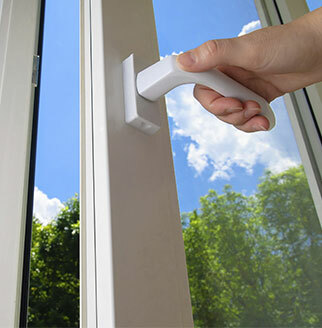 After you install, be sure you ventilate your home well by regularly opening windows until the “new” smell dissipates. Do this as well for plastic shower curtains, new carpet, and anything else you can smell after installing. New furniture can off-gas toxic fumes from the materials used to make them. Make sure to choose furniture rated for low toxic emissions. If your new furniture has an odor, try leaving it in your garage or somewhere else where it can safely off-gas before you move it into your home. Carpets in general can harbour mold, allergens, and bacteria, so it’s best to avoid them, as hard surfaces are easier to keep clean. Similar to furniture, new carpets can also emit toxic VOC (volatile organic compounds) fumes into your home. If you do want carpeting, make sure to choose low emission carpets. Wash rugs regularly if you can. Paints and varnishes are another source of toxic VOCs. In the past, low VOC paints didn’t perform nearly as well as traditional paints, but newer versions are performing very well and are well worth using to avoid adding toxins to your home. It’s best to avoid heaters powered by gas indoors, as they emit carbon monoxide, but if you do need to use one (possibly during a power outage), make sure to open a window at least slightly. Some blinds are known to be made with toxic materials, plus they’re much more difficult to keep clean than curtains. Drapes can be fairly easily taken down and washed in a washing machine to keep them allergen and dust-free. Dry air helps prevent mold growth. You can use dehumidifiers to help reduce moisture, and many modern air conditioners can also be used to help control humidity levels. Any plumbing or roof leaks should be fixed promptly to avoid mold growth. 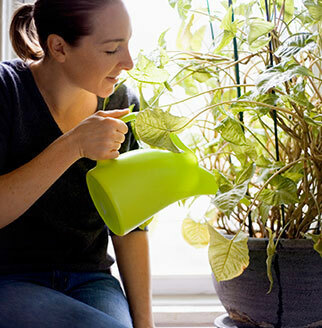 Overwatering houseplants can lead to mold growth in the potting soil. These mold spores can go airborne and spread throughout your home. Houseplants are very good at eliminating airborne toxins. Keep several throughout your home to help keep your air clean and provide additional oxygen. Here’s a handy list of some of the most beneficial plants. As you walk around outside, you can step on herbicides, pesticides, allergens, and other bacteria. Keep a mat outside your door and make sure to give your shoes a good wipe before you come in. Leave those shoes by the door to avoid tracking anything through your home. Herbicides, pesticides, and fertilizers that you use around your home can create toxic vapors that come into your home through open windows and air exchangers. They can also be tracked in on your feet or on your pet’s feet. Dust, allergens, and toxins can accumulate in the openings of furnace vents and cold air returns. Remove the vent covers and vacuum the ductwork that you’re able to safely reach. Having the ducts professionally cleaned can help reduce dust and allergen levels in your home. If you use a woodstove to heat your home, make sure to open the dampers while it’s in use and be sure to keep the chimney clean so that smoke can properly ventilate up the chimney and outside instead of leaking into your home. Improperly vented chimneys have also been known to cause death by carbon monoxide poisoning. Carbon monoxide is a byproduct of burning fuels like wood or gas for heat and it can hospitalize or kill you. It isn’t detectable by smell so you should install carbon monoxide detectors on every level of your home. Radon is a undetectable, naturally occurring gas produced by the breakdown of uranium in the ground. This gas can leak into your home and cause lung cancer. Some geographical areas are more prone to this problem, but it’s worth it to play it safe and have your home tested for this gas! Prior to 1978, lead paint was permitted for use in many areas. Since then, we’ve determined that lead can accumulate in the body and have long-term health consequences, so lead was banned from many products. Left undisturbed, lead paint should be relatively safe, but painting, sanding, or cleaning the paint could release dust that you breathe in. If your home was built before 1978, make sure that you have old paint tested for lead before you begin any projects that might disturb the paint. Having a fan above your cooking stove that vents outside has two benefits. First, if you have a natural gas stove, the fan can help ensure that any carbon monoxide will be vented outdoors. Second, toxins emitted by heating cookware or burning oils or foods will also be vented outdoors. Kitchen garbage and compost bins should be covered to minimize exposure to mold, pathogens, chemicals, and allergens. Both should also be emptied at least once a week. The bathroom is a common area where mold can begin to grow due to the higher moisture caused by bathing and showering. Mold can cause allergies, sinus issues, breathing difficulties, and more. Mold can be cleaned with commercial products specifically for mold or with a household mixture of bleach and water. Just make sure the room is well-ventilated while you clean! Alternatively, and better, you can use natural products, since bleach fumes can cause respiratory discomfort. Exhaust fans help reduce the moisture levels in your bathroom, which can then reduce the chances of mold. First, make sure your exhaust fan is venting outdoors to avoid recirculating moisture into your home (or into your attic, which can cause further problems). Then, every time you shower or have a bath, make sure you run the exhaust fan to help draw the moist air outside. Allow the fan to run for 15 minutes after each shower (a fan timer can help automate this for you). Opening the window also helps. If family members have allergies, it’s important to keep pets out of their bedrooms to minimize the amount of dander. This creates an allergy refuge that the sufferer can escape to and can help minimize allergy symptoms and improve their sleep quality. 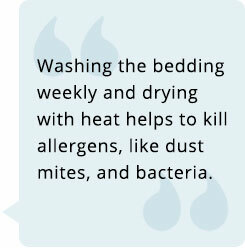 Washing the bedding weekly and drying with heat helps to kill allergens, like dust mites, and bacteria. When you sleep, you sweat and shed skin. Dust mites love both of these things. Get a dust mite cover for your mattress and pillow. These covers work by trapping the dust mites in the mattress or pillow. Once trapped, they’re unable to access their food source and soon starve to death. The cover also does double duty by trapping the dust mite feces inside the mattress, thereby preventing it from being released into the air your breathe. If you use a portable humidifier in your bedroom, make sure to clean it and change the water regularly. Humidifiers are a prime breeding ground for bacteria and mold. This prevents mold-inducing moisture from collecting around your basement walls and seeping inside. Warm air holds more moisture than cold. When it comes into contact with cooler basement temperatures, it condensates and encourages mold growth. Dehumidifiers help reduce the moisture content of the air and thus prevent mold growth. Dryer lint is a fire hazard. But if it builds up too much, it can also hamper the proper ventilation of gas dryers, which in turn could cause harmful carbon monoxide to be released into your home. 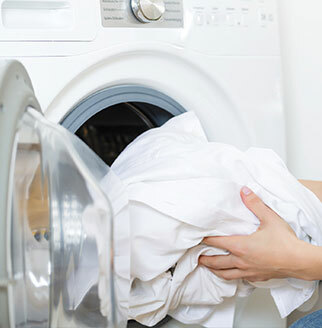 Make sure to properly clean your lint trap between every load, and have your dryer vents cleaned regularly. Laundry detergents and fabric softeners can contain a host of toxic chemicals that release toxic fumes and are absorbed through your skin (source 1, source 2). 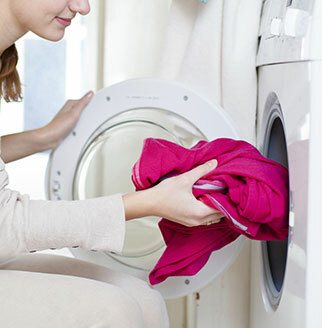 Stick with 100% natural laundry products to minimize toxic exposure. 49 - Be Careful of Printing! Laser printers can release ultrafine toxic particles that can go deep into your lungs. Keep printing to a minimum. If you do have to print, make sure you stay well away from the printer and use it in a well-ventilated area if possible. Never leave a car or other motor idling in your garage. Motors exhaust emits deadly carbon monoxide, which can render you unconscious and eventually cause death. This gas can also leak into your home. Many people store and use fuel and other chemicals in their garage. Make sure these chemicals are properly stored in airtight containers. And when using chemicals in your garage, make sure the door and windows are open for proper ventilation.